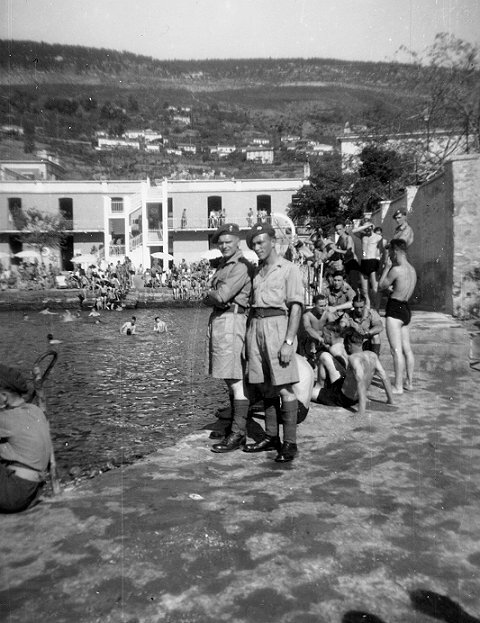 At the end of August 1946 the 1st Battalion Worcestershire Regiment, now a unit in the 13th Infantry Brigade, were perhaps lucky to set out on a temporary adventure which constituted a complete change from the prevailing conditions in Germany, and as a unit of the 13th Independent Infantry Brigade they made their way down to the blue Mediterranean coastline by Trieste. 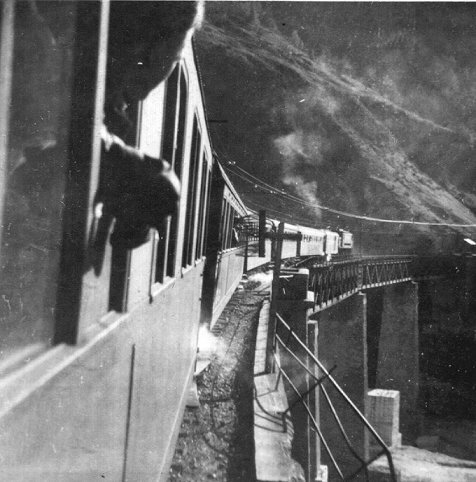 A train journey of four days took the Battalion to Calais, thence by the “Medloc” route through Nancy, Karlsruhe and Salzburg to the Austrian southern frontier at Villach. Here a change of trains was made, and Trieste was reached on 10th September 1946 after a final lap of six hours. It was an attractive but uneventful journey, to be remembered only for the spasmodic meals which were snatched at the food halts. Had the train always arrived on schedule there could have been no complaints. But with the midday meal possibly consumed at 2 a.m. in the morning, it was difficult to absorb the sudden change to a new and happier environment. As an independent formation, 13th Brigade were now attached to 1st Armoured Division with its headquarters at Miramare Castle outside Trieste. The town itself and its security, however, was the sole responsibility of the Brigade. 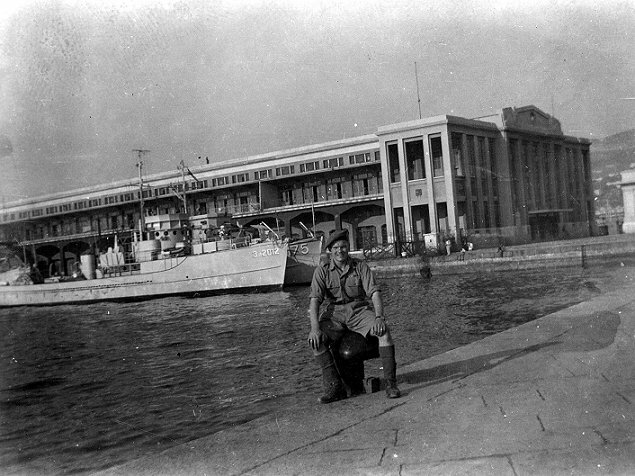 In addition, a subsidiary commitment was to share the duties of guarding the frontier between the allied and Yugoslav zones with the other Brigade in the Division. In theory this involved a preparation to support the Venezia-Giulia, which was the local mixed police force of Italians and Slays officered by British and Americans. 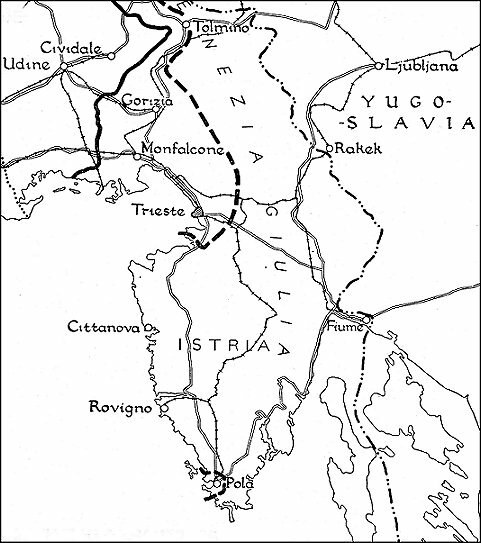 But in practice, so far as the Battalion was concerned, it amounted to one platoon being posted at a railway station by the frontier on the Trieste – Equile - Lipizzano road. The association with the VeneziaGiulia Police will be remembered chiefly for the efforts of the British to dress up the Italians and Slays in uniforms of the London Police. Somehow the familiar dark blue helmet never looked happy on an Italian head! 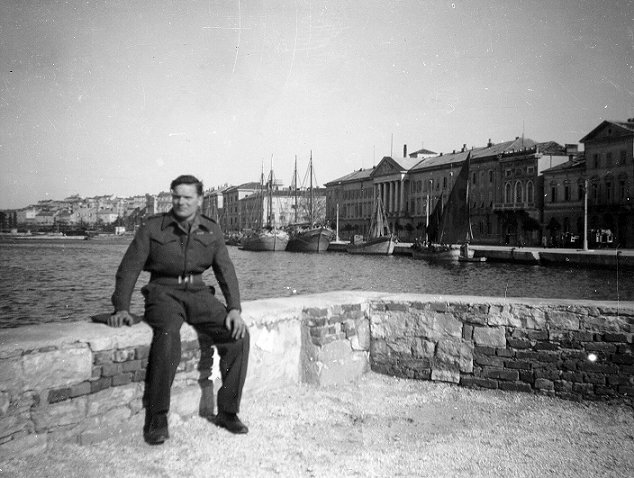 The platoon which was on isolated duty lived in Nissen huts and never made contact with its Yugoslav counterpart, and could hardly have discovered much compensation for an uneventful two months’ tour of duty. 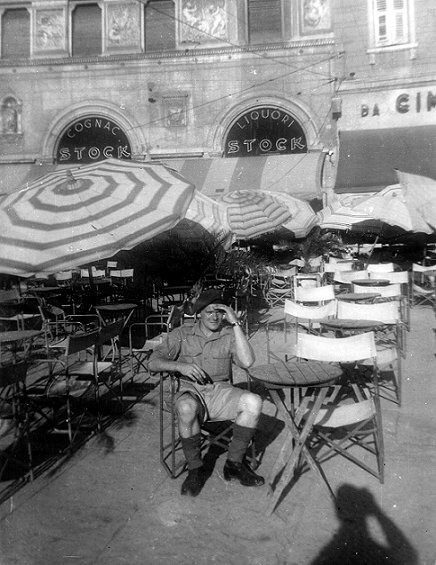 Moreover, life in Trieste and the surrounding country in the winter is governed by the “bora,” an ice-cold wind which blows down off the mountains at ninety miles an hour from December to February. It found no difficulty in penetrating the corriders and living rooms of Rossetti Barracks, and barrack life was a matter of dodging the draughts! After the big storms of January, 1947, snow piled up high on the barrack-room verandas. Nevertheless, after Germany, Trieste presented a striking contrast. Officers were able to welcome their families from England. The restaurants were full of good food and wine, the shop windows displayed a variety of goods and the people were friendly. Rossetti Barracks, which formerly had housed Italian Cavalry units, were shared with the 1st Battalion Oxford and Bucks Light Infantry, since before leaving Gandersheim in Germany the Brigade had been reconstituted on a three-battalion basis to include 1st Battalion Oxford and Bucks Light Infantry and 2nd Battalion The Essex Regiment. The train journey took four days, starting from Calais and then following the "Medoc" route through Nancy, Karlsruhe and Salzbury to the Austrian southern frontier at Villach. 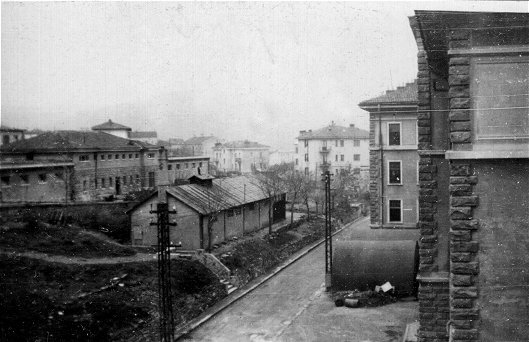 At Villach the men changed to another train and after a further 6 hours finally reached Trieste on the 10th September 1946. Windows of the officers quarters can be seen on the right. The long single storey building in the centre was used a horse stables for Captain T. J. Bowen M.C. riding school. 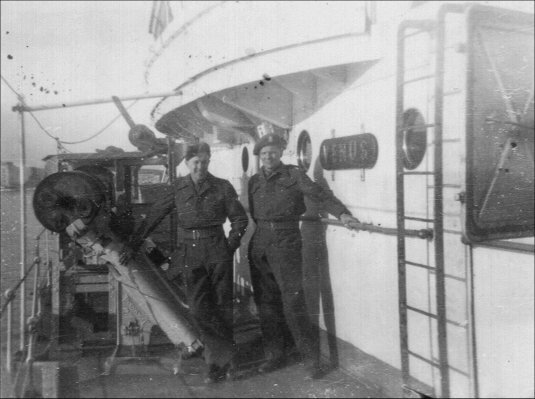 In the centre Private Thomas Scully is on the left, Private Desmond Marsden right. Private Marsden was later killed in Malaya on the 21/01/1951.